Should we fear hackers? Intention is at the heart of this discussion. I made stupid decisions as a kid, or as a young adult, but I’m trying to be now, I’m trying to take this lemon and make lemonade. We have problems with our physical security, operational security through to management. Of course I’m sure half the people there hate me and half the people like me. I believe in having each device secured and monitoring each device, rather than just monitoring holistically on the network, and then responding in short enough time for damage control. It was used for decades to describe talented computer enthusiasts, people whose skill at using computers to solve technical problems and puzzles was – and is – respected and admired by others possessing similar technical skills. The hacker mindset doesn’t actually see what happens on the other side, to the victim. I’m an expert witness in a case that’s in appeal about a guy who allegedly misappropriated source code from a major, major company – he actually worked there and then apparently they found it on his laptop later. My actions constituted pure hacking that resulted in relatively trivial expenses for the companies involved, despite the government’s false claims. 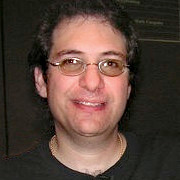 Kevin David Mitnick (born August 6, 1963) is an American computer security consultant, author, and hacker, best known for his high-profile 1995 arrest and later five years in prison for various computer and communications-related crimes.Mitnick's pursuit, arrest, trial, and sentence along with the associated journalism, books, and films were all controversial.He now runs the security firm Mitnick Security Consulting, LLC which helps test companies' security strengths, weaknesses, and potential loopholes. He is also the Chief Hacking Officer of the security awareness training company KnowBe4, as well as an active advisory board member at Zimperium, a firm that develops a mobile intrusion prevention system.